Continuing Roger Stern’s run on the Avengers from Absolute Vision book 2, and as with the first volume of that there’s some sly marketing going on. It’s not implicitly promised in the title, but it should be clarified that there’s absolutely no Thanos in this collection. 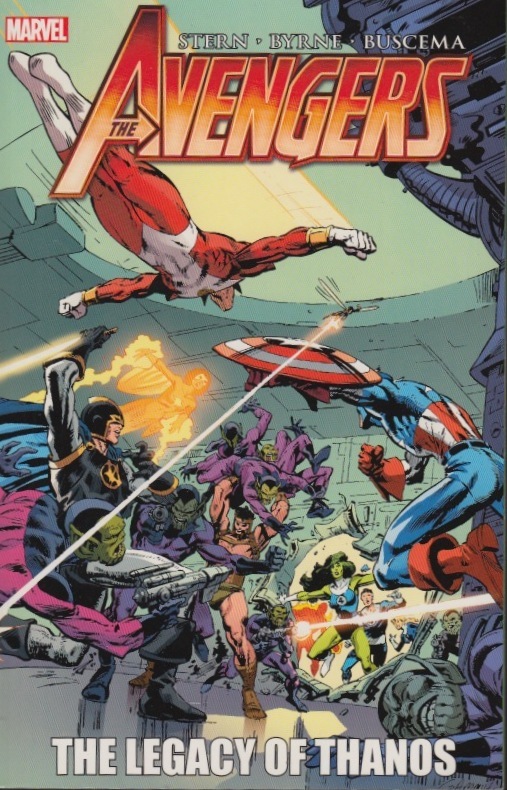 The legacy is literal as his former crew led by Nebula have captured Captain Marvel. There’s one immediate improvement on opening the book. 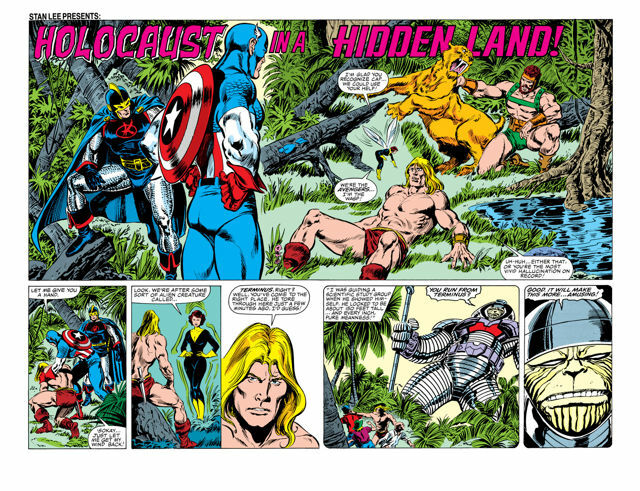 The art is now by the team of John Buscema and Tom Palmer, a quantum advance on the previous volumes, and memorable images are scattered throughout the collection. The best of them is a splash page of Apollo and his golden chariot landing in Manhattan. 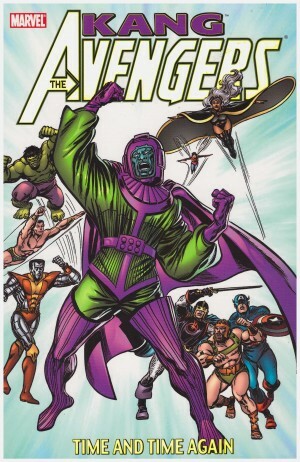 Before heading off to search for Captain Marvel the Avengers discover themselves shackled by the federal authorities in the wake of the Vision accessing military computers. There’s a battle in the Savage Land and an interlude with the cosmic-powered Firelord. He’s in effect on community service making restitution for the damage that occurred as he battled Spider-Man. Once the Avengers are reunited with Captain Marvel there are a few stumbling blocks along the way. 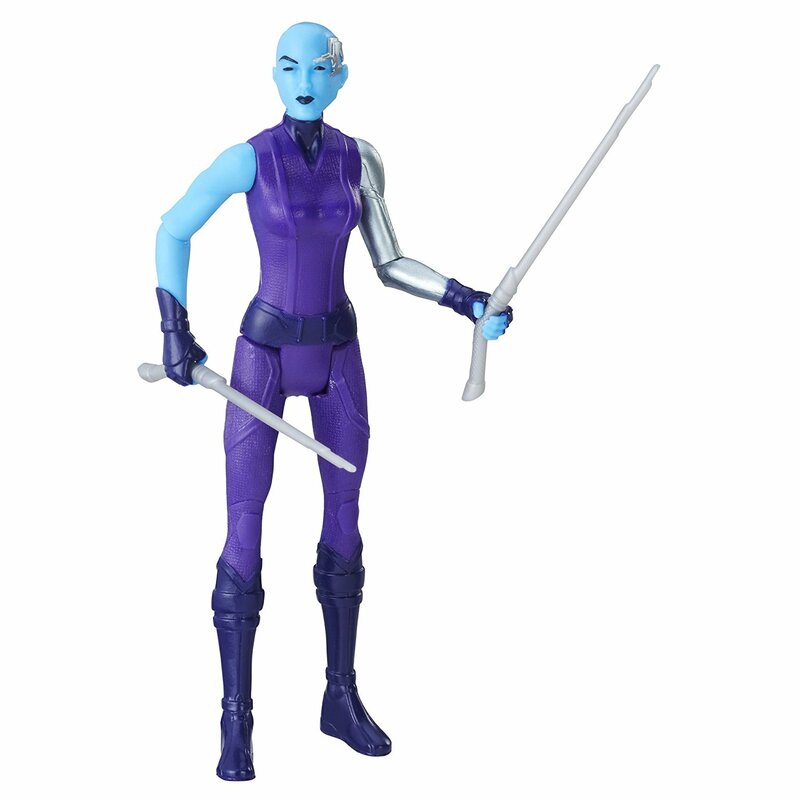 Not everyone is happy about aiding Nebula’s targets: the Skrulls, known for their own devious machinations. 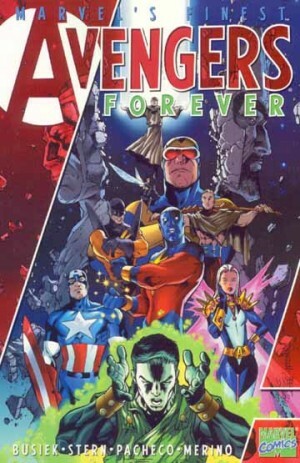 The conclusion is drawn by John Byrne and Kyle Baker, and is the highlight of this collection as the Avengers alight on a Skrull controlled world where the high fashion is imitating the USA of the 1940s as absorbed via film transmissions. 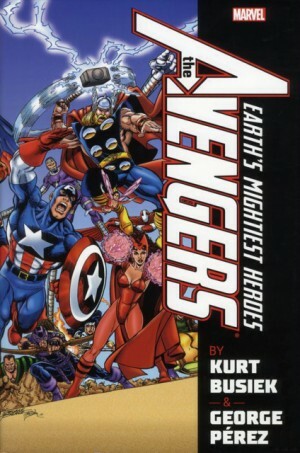 The simple adjustment of decent art ranks this collection higher than Stern’s previous work on the Avengers, but his plotting has also improved by this point. 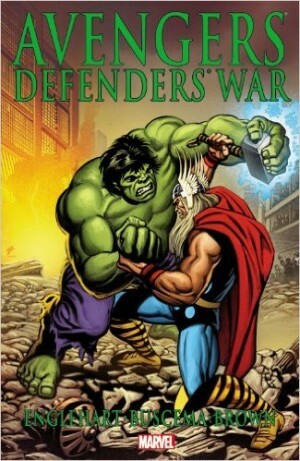 He keeps multiple Avengers in focus, sometimes in differing locations, knows how to unwind his sub-plots and his characterisation had been strong from the start. His run continues with The Once and Future Kang.